How Does Irvine University College of Law Help Students Succeed? The university requires all students to complete a Pre-Law Course before starting the Juris Doctor program. The course teaches the fundamental skills necessary for students to be successful in law school. 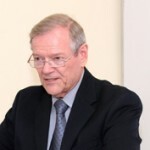 Since the majority of IUCOL students work full-time and have not been in school for a while, the Pre-Law course covers topics such as computer skills, writing skills, study skills, and legal terminology. The Pre-Law course has recently been expanded to 6 weeks based on feedback from students and instructors. Successful completion of the course is required to begin first year studies. Additional help is given to all 1L students through a mandatory academic enrichment non-credit course (Law 10 Academic Support) that they must take during the first year. There, students gain an understanding of what is expected in terms of substantive knowledge to pass the essay fact pattern and multiple choice questions. Moreover, time management skills in the test-taking environment are addressed. Despite concerted efforts by IUCOL to help students, this area remains a challenge. In order to help students succeed in Law School, Irvine University registers students in the proper courses needed. The Student Services Coordinator looks at each individual’s future plan and organizes their schedule for registration. This helps keep students informed with the hours required by the State Bar, as well as meeting the required classes for graduation. The order of which classes are taken is important, thus this helps eliminate any disorganization of the order of which students may register for classes. The university also offers a Mentorship Program, where a faculty member (mentor), is assigned to a law student to offer advice, support, insight, guidance, and assistance as they make preparations to take the FYLSX. This is a free service to any 1L law student who needs extra help with their first year of law classes. The mission of the Student Bar Association at Irvine University College of Law (SBA) is to foster relationships amongst the students while serving as a liaison between the faculty and student body. The SBA are advocates for all academic concerns and can provide guidance to students planning on taking the First-Year Law Students’ Exam (FYLSE/Baby Bar).Students who want extra help are recommended to contact anyone of the current Board members with questions and concerns, especially if they want to discuss techniques the SBA Board members used to pass the Baby Bar and their classes, or want to discuss their experiences at Irvine University College of Law. To further increase the school’s support in preparing students for the FYLSX, IUCOL has recently expanded the university Baby Bar Seminar from duration of 5 days to 3 months. This optional three-month seminar provides substantive knowledge to pass the essay fact pattern and multiple choice questions in the FYLSX. Although optional, the majority of students have signed up for this seminar. 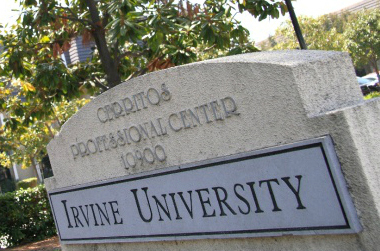 Academic counseling is considered a fundamental educational tool of Irvine University. Through counseling, students are able to improve their educational experience. Students are required to meet with the Dean of Law no less than twice an academic year on their scholastic progress and standing. Academic counseling provides students with information about the requirements for the academic program. Students may also speak with the Student Services Coordinator to discuss academic difficulties they are experiencing. Irvine University offers students resources for employment. This covers topics such as creating attorney cover letters, resumes, networking, preparing for interviews, etc. Career centers, such as The Southeast Los Angeles County Workforce Investment Board (SELACO WIB), send job leads to the Student Services Coordinator, who then forwards them to students who may be interested. Students who may have issues with transportation or child care are highly recommended to speak with Student Services. The Student Service Coordinator can help search for transportation alternatives and affordable child care. Carpooling with students in the same residential area is also recommended to students.